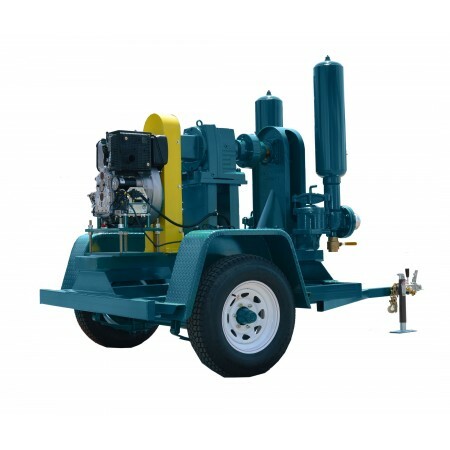 The first double disc pump for mobile use. DOT compliant trailer mounted or skid mounted. Designed to pump municipal sewage, industrial wastewater with solids, food processing waste and mining slurry. 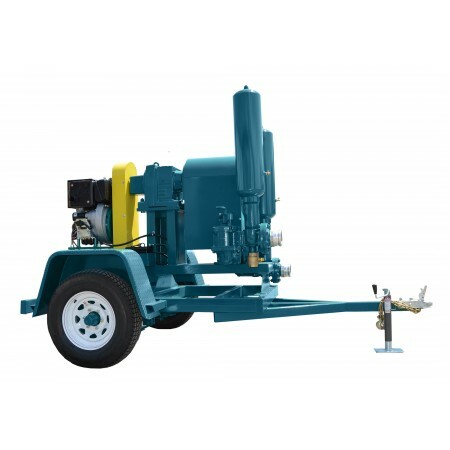 The Sludge Pro double disc pump product line from Wastecorp offers you an entirely new way to think about a low maintenance, easy-to-maintain double disc pump. 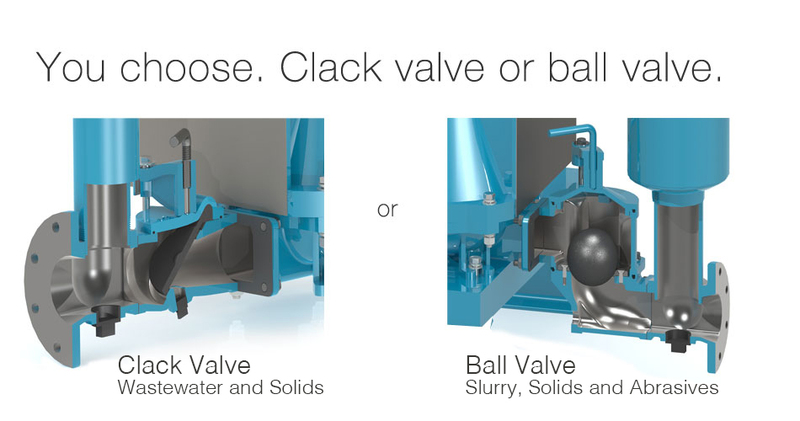 You get to choose from clack valve or ball valve designs depending on your fluid handling requirements. 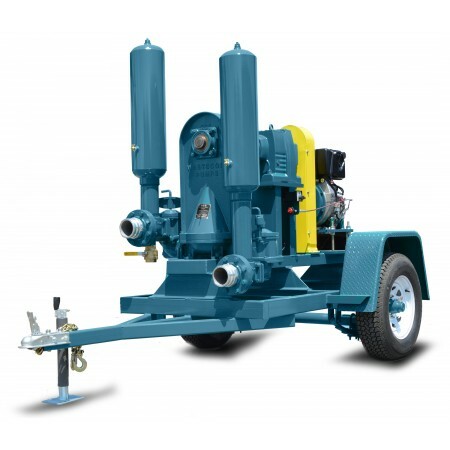 You can also get the first double disc pump designed with a diesel engine mounted on wheels to move around your facility. Wastecorp Sludge Pro clacks take an entirely new and innovative approach to the design of the clack in double disc pumps. The biggest difference is: this one isn't flimsy and reduces the chance for anything to get caught in the valve. Wastecorp is the first double disc pump manufacturer to offer a check ball option on the suction and discharge. This helps to better manage slurry, abrasives and stringy material. Forget about finding this on the red kind of double disc pump. The Wastecorp Sludge Pro double disc pump offers a unique patented contoured velocity channel that just help wastewater and sludge to flow better. Sewage is less likely to make contact with the trunnion and improves wear life of the disc and trunnions. Who says a double disc pump can't be mounted on wheels? 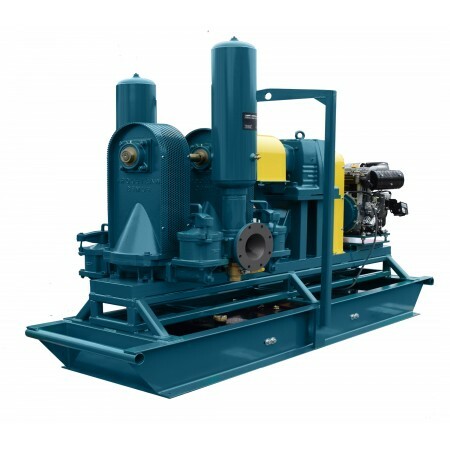 Wastecorp is the first double disc pump manufacturer to offer tier 4 compliant engines on its moblle line up of double disc pumps.